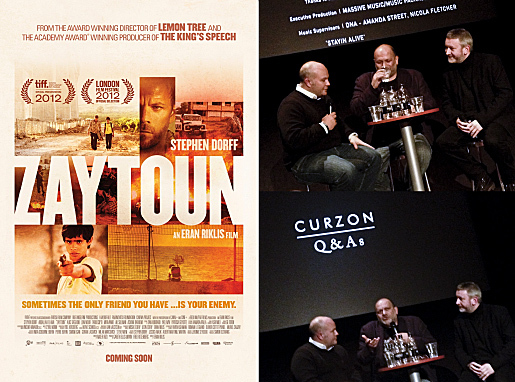 It was a pleasure to attend an early screening of Zaytoun yesterday followed by a Q&A with Academy Award winning Producer Gareth Ellis-Unwin & Director Eran Riklis. The film, set in Beirut 1982, is about a young Palestinian refugee and an Israeli fighter pilot who form a friendship during their attempt to make their way across war-torn Lebanon back to their home. Following the incredible success of the Kings Speech, it is inspiring that Gareth and his colleagues at Bedlam productions choose to enter this complex topic for their next production. Award winning Director Eran Riklis (of ‘Lemon Tree’ and ‘Syrian Bride’ fame) approached Gareth with the project at the Dubai film festival. No doubt the combined strength of their talents and the ‘still’ glowing success of ‘The Kings Speech’ helped secure the financial backing for this difficult topic. Eran and Gareth stressed from the beginning that it was their intention to keep the screenplay centred to the journey of the two characters, respectful of the events without feeding any political ideology or inadvertently stoking any flames of hatred. The result is a beautifully humane story with incredible performances from lead actors Stephen Dorff and Abdallah El Akal. Eran explained how this was a very familiar territory for him but he did not consider it as a ‘fear’. His single mindedness, the upmost respect for the topic and commitment to the film helped him overcome the obstacles along the way. Mentioning a phone call from a film fund during pre-production requesting ‘No more Lemon Trees please!’. For Eran ‘it is the role of film to engage people in dialogue and raise awareness of the theme at hand. And from this dialogue we hope to get a better understanding’. Gareth added that from the beginning there was ‘tremendous respect and awareness of the topic at hand’. 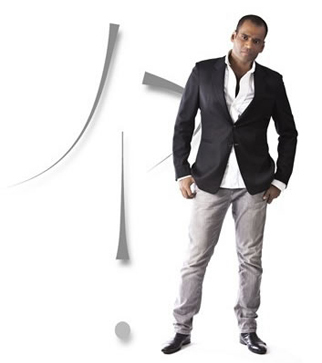 Continuous dialogue between him, Eran and the different funding bodies resulted in several rewrites of the screenplay. It was this ‘awareness’ that was with him all the time (as opposed to ‘fear’). As a Producer he felt obligated to uphold the trust of his investors, cast and crew by being open about the films ‘Artistic vision’ whilst at the same time ensuring that the audience would also enjoy the final film. It was very insightful to hear their thoughts on this matter. Surely it is human for any film maker at some point to ask themselves ‘Will the audience agree with what is said here?’. This leads to the question ‘Does Film make a difference to our understanding of life?’. One may agree or disagree with a story, but when it is told in a respectful and humane manner that it engages the audience. Surely that enriches our lives for the better? Zaytoun will be released in the UK on Friday 28th December, in the meantime you can watch the trailer here:. Thank you for sharing this, I didin’t know about this film and would love to watch it!